Tags: 2008, 70 meter hub height, 900kW, gebrauchte Windkraftanlagen, NEG Micon NM52. This used Neg Micon NM52 900kW with 70m hub height are relatively young. They were produced and installed in 2008 by VESTAS. 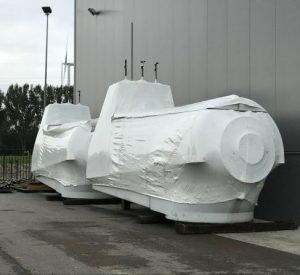 The Wind turbines are already dismantled and stored ready for transport. All maintenance and specifications documents are available. Call us or fill in the contact form.